Stacey Dixon, deputy director at the Intelligence Advance Research Projects Activity, has been appointed to serve as the agency’s director, succeeding Jason Matheny. She has more than 15 years of science and technology experience in the intelligence community, having held positions at the CIA, the National Reconnaissance Office and the National Geospatial-Intelligence Agency, the Office of the Director of National Intelligence said Tuesday. 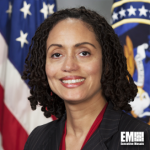 At the CIA, she contributed work on advanced satellite systems under the agency’s directorate of S&T. Later on, Dixon led various NGA components such as the Office of Information Integration and Research directorate; she also served as the agency’s chief of congressional and intergovernmental affairs. She then entered IARPA in January 2016 as deputy director. “I look forward to her continued work in delivering breakthrough capabilities to partners throughout the national security community,” said Dan Coats, director of national intelligence.